I just searched online for night vision goggles, and the prices seem to vary between £600 and £27000. That’s a little bit higher than my budget of ‘as cheap as humanly possible’, but lucky for me (and you! 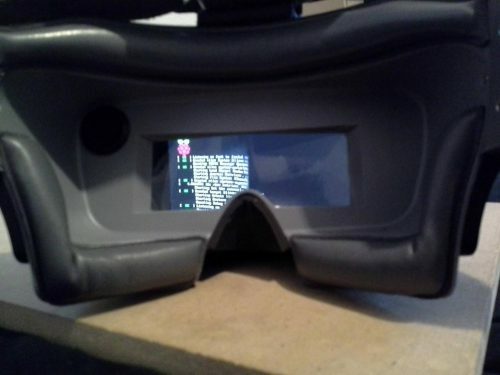 ), Redditor Mtnbikerdunn has created a set of Raspberry Pi Zero–powered night vision goggles that come in at around $100. Nice. Finally my Silence of the Lambs cosplay is complete! mtnbikerdunn goes on to explain how the few pieces of tech required to build the goggles came in at less than $100/£78. The results are impressive! 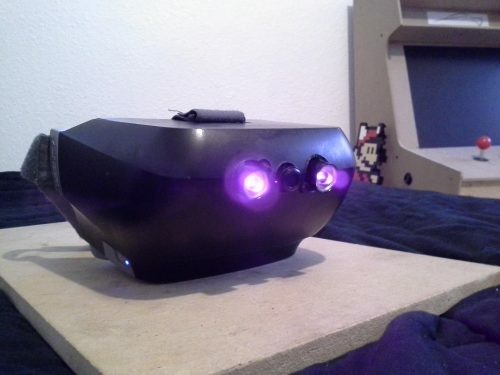 It’s basically a first-person viewdrone headset with a Raspberry Pi Zero mounted within, some infrared LED lights, an infrared camera, and a few 18650 Lithium-ion batteries to power it all. Charges with a standard micro USB cable and doesn’t require anything to get it running except an on/off switch. The headset in this project is the Yuneec SkyView FPV HDMI, used by drone pilots to gain a first-person view while flying. And since the headset has HDMI connectivity, mtnbikerdunn was able to hook it up directly to the Pi Zero. 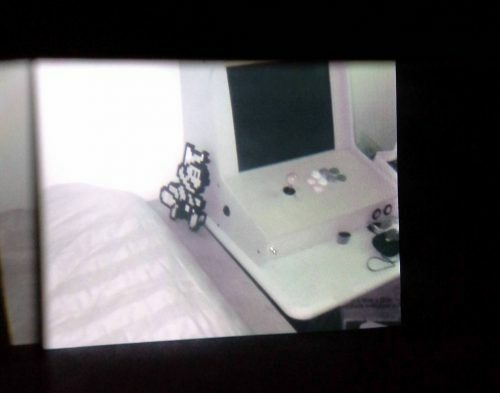 The camera is a third-party Raspberry Pi fisheye camera, while the rest of the tech consists of the standard gubbins any maker should have lying around, such as a micro SD card, a $5 Raspberry Pi Zero, and a button. The power pack contains two 18650 Lithium-ion batteries, providing the goggles with roughly three hours of runtime. To make the charge last longer, mtnbikerdunn stripped down Raspbian Stretch Lite, removing any unnecessary programs that could run in the background and eat up juice. All that’s left is for me to sit and hope that mtnbikerdunn has a dream about how to make a working TARDIS using a Pi Zero, and then I’ll be the talk of the town at next year’s London Film and Comic Con! If he makes a working Tardis, it will be old hat next year. He will already have taken it to *last* year’s con. Get your zombie-spotting gear here!